Background composed of Desert Sand Stone, "Trefoil" design of Sable Stone, and Center Circle of Cafe Latte Stone. 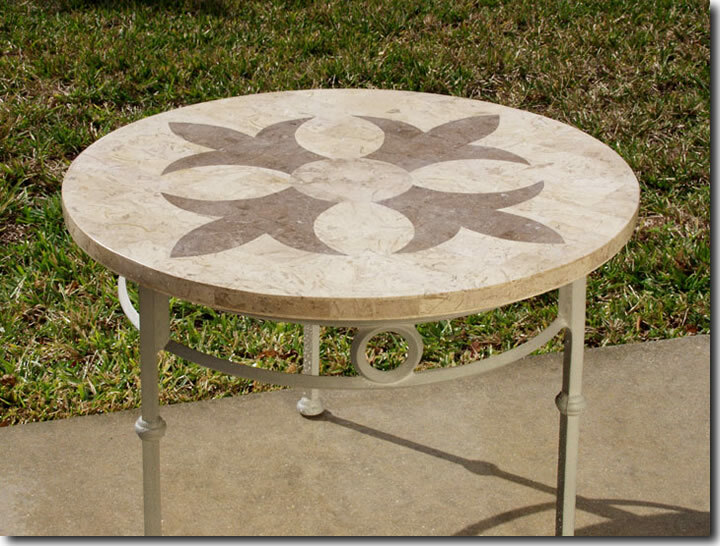 The Trefoil Table Top comes in 24" round, 30" round, 48" round, 25"x38" oval, 44"x74" oval, and 44"x84" oval sizes. Photos of all top sizes are available upon request. Click HERE to see the Trefoil Oval Top.